Sunderland is 19th on the table with one point from three games, one point below Southampton and above Stoke City on goal difference. On the other hand, we have Everton who is eight on the table with seven points from three games, below Hull City and two points above Middlesbrough. 13th September 2016 at 00:30 (IST). Stadium of Light, Sunderland, England. Sunderland hasn’t started off well in the league, and they have started where they left last season, they were above the relegation zone by some points, and currently they are in it. They have just one point from three games as they lost two and drew one, scoring three and conceding five. They played against the table toppers on the first matchday of the league and lost the game by 2-1, then they played against Middlesbrough and lost again by 1-2 at home. Then on the third match day they played against Southampton at the St. Mary’s Stadium and was able to draw the game and have their first point on the table. 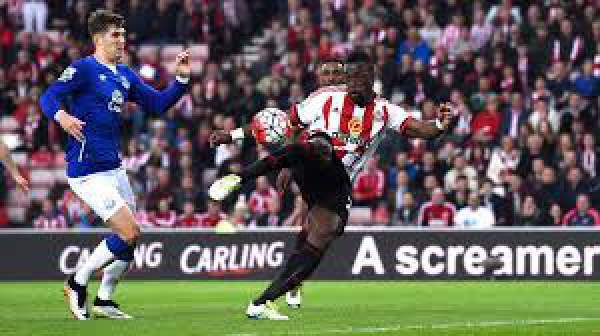 The game was level at halftime, and both teams were trying to break the deadlock which was broken by Sunderland in the second half. Sunderland was awarded a penalty in the 80th minute of the game as Fonte fouls Defoe who successfully converts from the spot. Then in the 85th minute of the match, Southampton was able to equalize as Rodriguez scored for the Saints. Everton has won two games from three they have played and drawing one, scoring four and conceding two goals in total. They played against Tottenham on the opening match day and drew their game, after that they played against West Bromwich Albion and was able to get their first win in the league. They played against Stoke City on the third match day and won the game by 1-0 at home. The game was goalless in the first half, but both teams were trying their best to get in the lead and the home team scored in the 51st minute as Baines scored and won the game for his team. Pickford, Manzello, Kone, Aanholt, Djilobodji, Rodwell, Januzaj, Gooch, Pienaar, Borini, Defoe. Stekelenburg, Jagielka, Baines, Williams, Holgate, Mirallas, Bolasie, Gueye, Barkley, Barry, Lukaku. Everton has won both their previous games and is better form than Sunderland. India: TV: Star Sports 1 and Star Sports select HD1. Live Streaming: Hotstar. UK: Sky Sports 1. Live streaming: Watch Sky Sports. USA: TV: NBCSN. Live Streaming: NBC live. Australia: TV: Optus Sport. Live Streaming: Optus Online. Canada: TV: TSN. Live Streaming: TSN TV. Come back for the match result, full video highlights, and other details.